At Coastal Contract Hardware, we are your top consultant for doors and frames and door hardware for your business in Myrtle Beach, South Carolina. 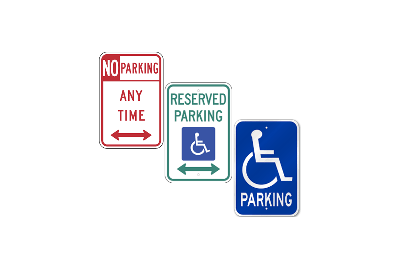 Whether you need parking signs, security systems, or new fire extinguisher cabinets, you’ll find just what you need to keep your business compliant and secure. 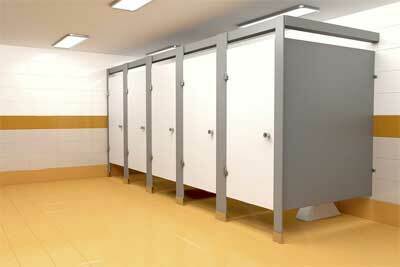 Partition materials available include popular stainless-steel, as well as a variety of coated steel, fiberglass-reinforced plastic partitions, and others. Make Coastal Contract Hardware your first stop for doors and frames in Myrtle Beach! At Coastal Contract Hardware, we offer everything you need to secure your business in Myrtle Beach, South Carolina. We employ a team of highly trained professionals who can take care of any of your door frame, hardware, and security needs. 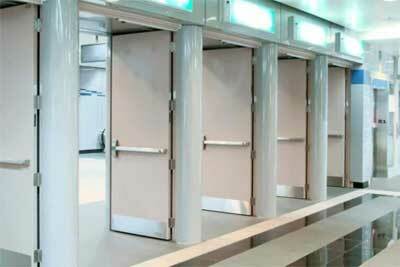 Doors & Frames – Did you know that the doors and frames you choose are more important than the weight of the door or the sturdiness of the locks? When you work with our team, we can assist you with choosing the right doors and frames that are designed to give your location maximum security and long-lasting value. Our technicians can perform a new frame installation, or we can design a custom configuration to fit your commercial building, warehouse, or office. Hardware & Accessories – Our offerings at Coastal Contract Hardware go beyond doors and frames for entry doors. 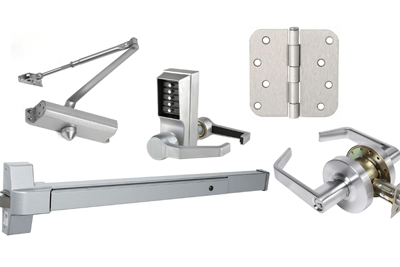 We also carry a great selection of door hardware and door closers, as well as bathroom accessories, toilet partitions and more. If you need to install a partition that makes your guests more comfortable at your business, you will find just the solutions you need with us. Security Features – Looking for a safe? We provide an impressive line of safes manufactured by Gardall, the industry’s leading safe maker. Additionally, our advanced security services such as video surveillance, access control, and locksmith services are ideal for the protection for your business. If you require doors and frames, door hardware, or security features for your business in Myrtle Beach, simply contact us or visit our showroom to find out how we can help. We look forward to working with you.